It seems like Old Man Winter has finally gone into his own hibernation (for now…). Although we’re all ready to thaw out after that brutal winter, the heat of summer can be brutal, too. That is the message behind OSHA’s “Water. Rest. Shade.” Campaign to Prevent Heat Illness in Outdoor Workers. According to OSHA, there were 31 heat-related worker deaths and 4,120 heat-related worker illnesses in 2012. 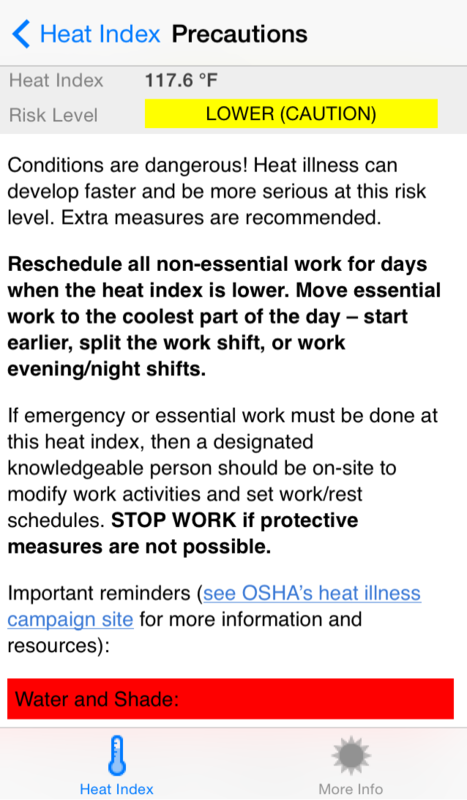 OSHA’s campaign, which launched last week, keys in on three areas to help workers and employers prepare for the hot summer days ahead – how to identify heat illness, how heat illness can be prevented, and who is at risk of developing a heat illness. In hot weather, especially with high humidity, the body can’t always cool itself off normally through sweating. That can cause your body temperature to rise to dangerous levels, and according to OSHA, that’s when heat illnesses can happen. OSHA says heat illnesses can range from heat rash and heat cramps to heat exhaustion and heat stroke. Heat stroke being the most serious of those, and requires immediate medical attention. Any worker exposed to hot weather is at risk of heat illness, especially those doing intense labor or wearing bulky protective clothing and equipment. But OSHA states that those who can be most vulnerable to heat stress are new workers, temporary workers, or workers who have been away for a week or more, because they haven’t yet been acclimatized. As part of its campaign, OSHA has developed a slew of educational resources aimed at raising awareness and educating workers and employers, with everything from fact sheets, posters, training guides, and wallet cards. They’ve also released an OSHA Heat Smartphone App. 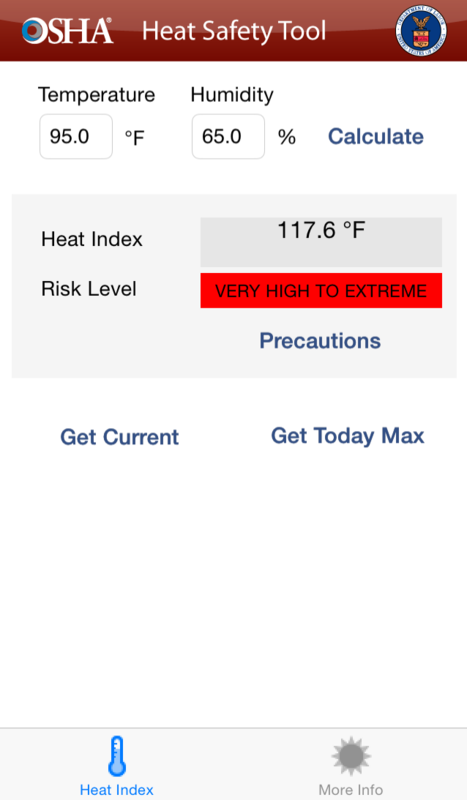 The app allows workers and supervisors to calculate the heat index for their jobsite, and based on that heat index, displays a risk level to outdoor workers. It also provides all of the protective measures that should be taken at any given risk level to prevent heat-related illnesses. The app can be downloaded for free for iPhone and Android users. Our friends over at Klein Tools put this together. If you are looking for Klein Tools Wylaco has plenty in stock, check it out!